Great employees, fast service, tasty food! Blunch is great!Delicious fresh food!Quick service! Excellent service and amazing food! The Boca is the best veggie Burger! I had never tried this place before. Wonderful sandwiches and baked goods. Great discovery. I’ll be back! Such a cool little place. Can’t believe how many menu options are available. Food was delicious and nitro cold brew was amazing! Whenever I’m in south Boston again I will be sure to stop by! I loved the sandwich I had at Blunch. It was delicious and I will definitely be back again! The sandwich I ordered was delicious, and the atmosphere at Blunch was fantastic - friendly staff, funky decor, fast service, everything was wonderful! The food was amazing and the service was very friendly! The service was fast, everyone was friendly, and the food was delicious. Friendly staff and cozy environment. Love their chocolate chip cookies! Great food, . Fresh ingredients! Friendly service! Great food and a good coupon. Glad they offer this service as I haven't been in a long time. Got the special of the day pressed paninni (The Musa) and a Nitro cold brew on the tap, both were delicious! Staffs were bery friendly, excellent place, will definitely come back to try their other sandwiches! Great food and fun spot! Thanks for the Nift - I wouldn’t have found or visited this spot if not for Nift. Blunch was great! I got the special sandwich of the day and a pastry and it was delicious! THIS WAS THE MOST DELICIOUS VEGGIE BURGER EVER! The Boca was amazing. I enjoy both beef and veggie burgers and this was one of the best I've ever had. Service was great too! Blunch is a friendly and helpful small business that also happens to serve delicious food at reasonable prices! Blum has was great- cute shop with salads, bagels, and sandwiches. Would not have made my way to south boston without this nift! Busy lunch rush at Blunch but worth the wait. Hardworking & kind staff got orders out ASAP. That was my first visit to blunch and I’ll be back! Excellent sandwich. I’ll be back! Super small but adorable! Great iced coffee, friendly staff. Great little breakfast/lunch spot. Had the Lower East Side sandwich, it was delish! Looking forward to coming back to try the meatloaf sandwich. Sandwich was fantastic! Very friendly staff. Blunch was amazing! It was nice getting a Nift for a small, local business and a great eatery to boot. I enjoyed the bagel and the cookie. They're a good option in the South End. So glad I was introduced to this wonderful place! Can’t wait to go back. Best sandwich I've had in a while. Yummy lunch. Was hoping for somewhere to sit. Oh wow. I'll definitely be returning to Blunch. Great prices and even better food. The eggwich was DIVINE. How do they get their eggs to taste so good?!? Service was also amazing. And the shop is cute and tiny. Great food, quaint little breakfast sandwich and sandwich shop in the South End! I loved the sandwhich! It was miles better than anything I have ever had before. I also recommend the cookies! Friendly staff and very tasty and original sandwiches. Delicious food and very friendly staff! Lovely homely food (even for a vegetarian! ), reasonably priced, and extremely friendly staff. I’ve been meaning to try Blunch for a while. The gift certificate prompted me to go. Very happy with the food. I’ll be back. Amazing sandwiches! I had one with salmon, and my wife had a portobello mushroom sandwich. The staff are very nice, we will definitely return. Thank you people at Blunch!! Was awesome they had gluten free bread options. I had previously had sandwiches here I didn't like so I hadn't come back in a while, but the bird was actually very good on the gluten free bread. Yummy food and friendly service! It was great, people were friendly and got a great sandwich! Great food and nice service! Highly recommend the stuffed churros as well! Delicious crustless quiche!! Will definitely go back. We loved Blunch! Food was great, service was great. Very friendly staff. Glad to know about this place. Wonderful food. my meatloaf sandwich was so good i cried a little (i had an awful week at work and this was just what i needed). it was delicious and I’m excited to try more of their menu!!! Chicken panini was great...so was bread pudding! Although the place is small, it had a great atmosphere and staff!! The food here never disappoints. The most popular item on the menu is The Bird, but I really enjoyed The Colonial and don't forget to get a cookie! The people and service here are spectacular. You will not be disappointed! It was delish. The service was great. Hidden gem. I would definitely go back there again. Easy phone ordering and pickup was quick. Sandwich was tasty (as well as the cookie)--but will definitely try a non-veggie option next time! I love blunch! Excellent service &tasty sandwiches. great workers! everyone was super friendly and provided wonderful service. Great food and excellent customer service! Loved it. Blunch was awesome! The woman working the counter was so sweet and the sandwich was delicious. Blunch was a somewhat quirky, but extremely pleasant (and tasty :-) surprise after a Saturday bicycle jaunt. I will definitely be back, this time with family members! The staff were super friendly and helpful! And the veggie burger was amazing! I will definitely go back! The sandwich was very very good! The best sandwich shop in Boston! 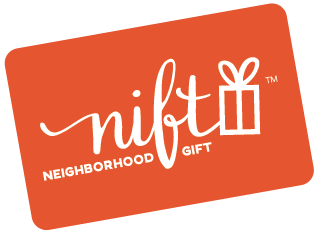 I absolutely love nift and supporting local businesses! Keep up the amazing work! Absolutely delicious! Great little hole in the wall with creative sandwich options on the menu, super friendly staff, and worth the hike to the South End! Very friendly staff with great service. Sandwich was tasty and cookie was amazing! Very nice staff. Pressed sandwich was great. The breakfast sandwich was delicious and the apple turnover is my new favorite thing!! Great Eggwich sandwich. Really good value too. Cute place and delicious sandwiches! Super friendly staff and delicious food!! cute and quaint spot, convenient, very friendly staff, and good food! A favorite neighborhood lunch spot! I had "The Beef." It was scrupulously amazing. The Big Papi is a must have! The place is small, but the food taste great! Great customer service! Super friendly. so good and great service! Creative and delicious bagel sandwiches plus many other choices we didn't get to try. Delicious! Owner was working and very friendly! Thank you, Blunch, for providing an amazing breakfast and lunch. Blunch is amazing! And the Nift was super easy to use. So good! The owner was friendly, great selection. I'm definitely going back. Blunch is one of my favorite sandwich shops!! They never disappoint!! I absolutely loved this place. Can't believe I haven't been before! Thank you nift! Crazy busy at lunch but enjoyed the sandwich. Was able to easily customize a bagelwich, added egg &it was so filling I couldn't finish it! Love blunch, super consistent, really delicious food every time! Food was delicious, service was excellent. Very friendly. Great! Really excellent sandwich. Cashier was a little confused on how to enter in the nift discount. I would never have tried Blunch, if it wasn't for nift. But it is a wonderful restaurant! The frittata was moist and fresh. The churro was the best I've had. And all of the food was tempting. I can comfortably recommend this special spot to anyone looking for excellent breakfast choices. Loved Blunch, food was delicious, fast service, great customer service!!! Five stars! Convenient and easy to redeem. The food at Blunch was excellent as usual. Great atmosphere, great options and awesome food! Loved blunch, everything I got tasted great! Was able to get coffee, a breakfast sandwich and a lunch sandwich w/ the Nift gift. All was really yummy - fluffiest eggs I ever had. Service friendly & efficient. Cozy spot - more for take out than sitting. But mid-morning I had a comfy counter spot and enjoyed looking out at the South End happenings. Thanks for the treat! Incredibly friendly staff, delicious food, wonderfully decorated shop! Will be returning soon! The staff was very friendly, had great recommendations, and the food was great! service was very friendly - great food too! Fantastic place! I love that I've discovered it, thanks to Nift. Blunch was great. I enjoyed my Bird sub and recommend it. I will be back! Great dynamic! Didn't knew Blunch, WILL come back! Great sandwich and chocolate cookie. Friendly service and great decoration. My Blunch meal was great! The owner, Nikki, greeted me well..made sure I was served in the best way. She encouraged me to come back...and I will indeed! A+++ experience...the food was A+++ as well. Good food and even better service! Blunch was great! Sandwiches were delicious and the chocolate chip cookie was out of this world. Delicious salad and panini. At 10:45 there was no wait! It was great! The staff wasn't sure what to do with the certificate, it was the first one they had seen. Otherwise it worked great. Great Nift I thoroughly enjoyed!